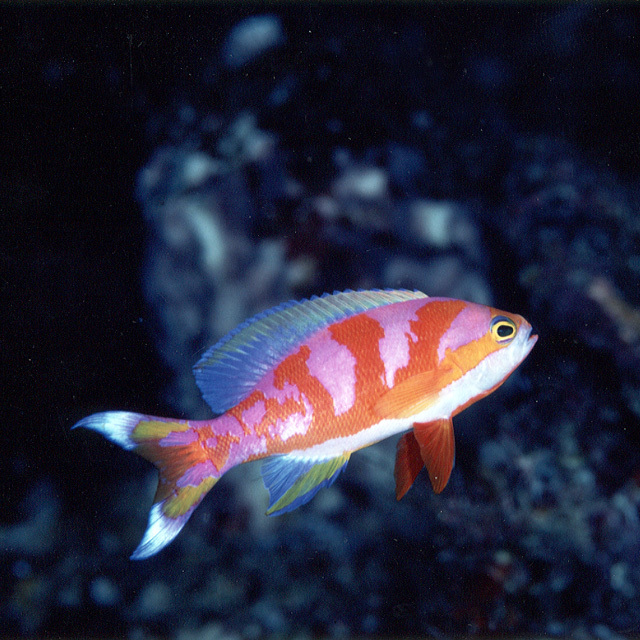 There are dozens of anthias species found throughout the Indo-Pacific and nearly all of them are of exceptional beauty, but some clearly shine brighter than the rest. 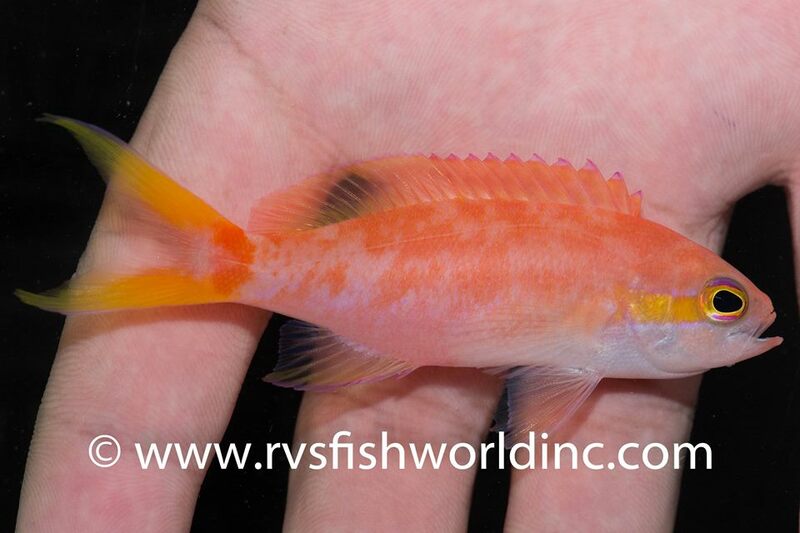 For the Aurora Anthias (Pseudanthias calloura), the combination of its vibrant, sumptuous coloration and the extreme rarity with which it is encountered—both by divers and aquarists—make this one of the ultimate piscine holy grails. 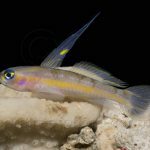 We often go years without seeing specimens made available, but a new collection locality in the Philippines is revealing that this fish may be a bit more widespread than previously thought. 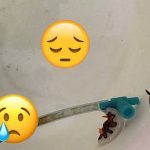 Over the years, I’ve featured quite a few interesting finds from Barnett Shutman and his crew at RVS Fishworld, and this latest discovery comes to us from their newest collecting substation located on the island of Lubang. 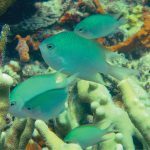 This remote region has been off limits to collectors for decades and sits in clear, oceanic waters associated with the South China Sea, making these pristine reefs a prime place to look for unusual and unexpected species like the Aurora Anthias. 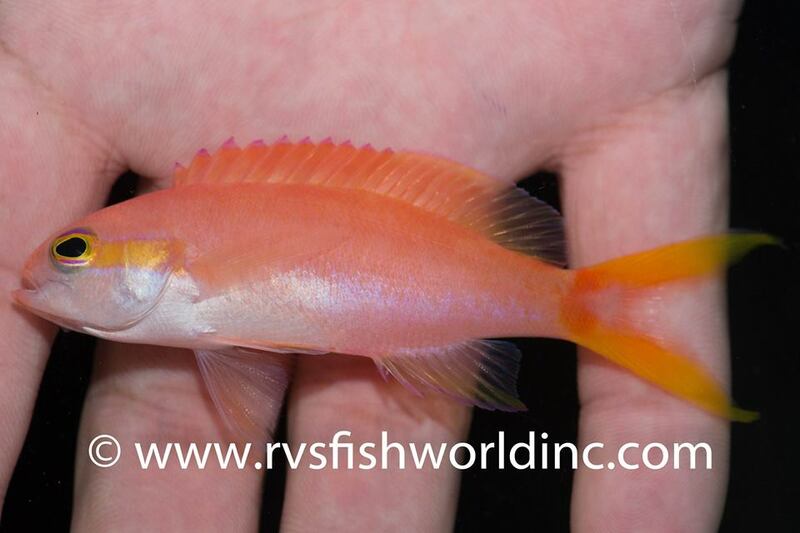 Pseudanthias calloura has generally been considered a mesophotic specialist, and is typically encountered beneath 50 meters alongside other deepwater groups like the Pseudojuloides wrasses, Roaops butterflyfishes and the Pseudanthias lunulatus group. However, this latest specimen was said to have originated in water just 15 meters deep. This is obviously great news for aquarists who might be looking to acquire a specimen but might be concerned about decompression issues. This also represents a significant range extension for the species. It was originally collected and described from Palau in 2001, and this is where most images of it have come from. 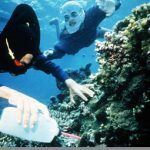 Subsequently, it has turned up in the waters around Manado in Northern Sulawesi (which is presumably near the location that aquarium specimens have been sourced from), and Brian Greene also reports it from the Micronesian islands of Yap and Pohnpei. But, even with this new locality, it’s still not entirely clear what the full distribution is for the Aurora Anthias—is it a Central Pacific species that only occasionally occurs in the West Pacific, or might it be the other way around? 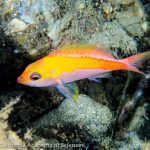 With aquarium collecting now taking place at the relatively untouched oceanic reef habitats of Lubang and Scarborough Shoal, there is reason to believe that we may finally see the Pseudanthias calloura offered on a somewhat regular basis.